Vanlife Customs builds one of a kind camper vans to fit a variety of lifestyles. 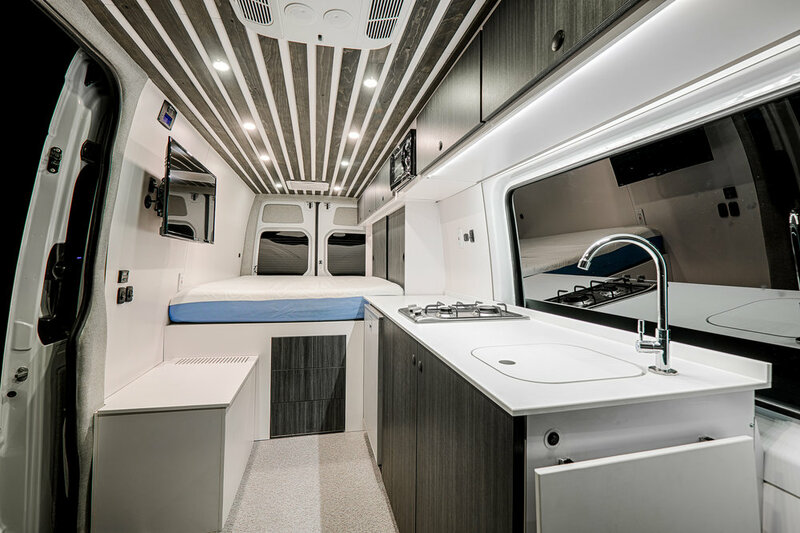 Whether you're a mountain biker, climber, hiker, digital nomad, full-time traveler or weekend warrior; we will build a van that is right for you. Born in a backyard, and based in Denver, Colorado, we want to make your #vanlife a reality. JOMOVAN was designed to be a full-time home for a couple of stylish and adventurous digital nomads. As an avid rafter, Chad wanted a decked out 144" Sprinter 4x4 to take him on all of his backcountry adventures. This 136" purple Dodge Promaster high top conversion was designed to be stylish, comfortable, and easy to drive. A bland build simply wasn't in the cards for Jeff. Not only did he want something spacious, but also wanted a weekend machine that was packed full of features and amenities. We will take the time to design and build a custom Mercedes Sprinter, Dodge Promaster or Ford Transit to fit your needs. Let's chat. Want to try vanlife? We've partnered with Native Campervans with locations in Denver and Salt Lake City. Now everyone has the opportunity to rent one of sixteen vans that we built for their rental fleet. We highly recommend trying out one of their vans for yourself!